JOIN OUR MASTERCLASS TO TAKE YOUR NEW YEAR’S RESOLUTIONS AND ACTUALLY MAKE THEM A REALITY. YOU’LL SEE NEW OPPORTUNITIES AND CLEAR AWAY THE CONFUSION THAT HAS KEPT YOU FROM UNDERSTANDING THE EXACT NEXT BEST STEPS. AT THIS EVENT, YOU WILL QUICKLY IDENTIFY YOUR GOALS AND CRAFT AN ACTION PLAN FOR THE WHOLE YEAR. YOU WILL ALSO GET IDEAS, INSPIRATION, AND SUPPORT FROM OTHER MOTIVATED AND INSPIRING CREATIVES. Melissa McFarlane, owner and founder of Creative Successful Entrepreneurs, is an internationally-recognized coach with over 28 years of experience in executive, business, and personal coaching. A sought-after speaker, Melissa also has designed and taught many training programs and workshops around the USA and abroad, and coached 1000’s of executives, creatives, and teams worldwide. At Creative Successful Entrepreneurs, Melissa helps RIGHT-BRAIN creative visionaries and mavericks to get their big ideas into the world effectively. In her Catalyst Incubator, Melissa works with successful professionals who have accomplished much, guiding them to do more than they ever thought possible. Working in private and elite small group environments, Melissa now helps her clients in both realms to create new personal and professional visions, define timelines and action plans, learn skills, assemble support, maintain accountability and ultimately make good on the promise of lives. The Unique Space is located in a historic old factory on 6th in LA’s Arts District. With our roots firmly planted in community, we are the home to innovation, creativity, collaboration and entrepreneurship! The Unique Space was renovated and opened in 2014 by Sonja Rasula. It offers a fresh, inspiring work place, private offices, and is LA’s hottest new event rental space. We’ve got a fleet of Linus bikes for guests and tenants to borrow, a fully-equipped kitchen, an arts/design and entrepreneurship resource library and lounge, a beautiful boardroom that can be booked for meetings and presentations, a rooftop terrace and so much more. With gorgeous exposed brick, high ceilings, wood floors, locally made decor/furniture/wallpaper and other one-of-a-kind details, the environment can’t be beat. It inspires passionate, innovative, creative work and collaboration within a design-savvy community of makers, doers, and dreamers. THE DOORS ARE OPEN AND WE WOULD LOVE FOR YOU TO COME BE A PART OF THE WONDERFUL WORLD OF THE UNIQUE SPACE! Sonja Rasula is a curator of culture. A community leader and entrepreneur, she is passionate about growing and activating community, empowering independent business owners, and cultivating great design and art. Sonja is best known for starting Unique LA in 2008, the world’s largest made-in-America shopping event. In 2011 she started CAMP, a business conference for creatives who hate business conferences. After witnessing the amazing success of CAMP, Sonja decided to create a permanent place for entrepreneurs and creative thinkers. And so The Unique Space was born! A former interior designer on HGTV (Home & Garden Television), Sonja meticulously renovated and designed every inch of the space. Her goal was to create an inspirational, warm and inviting environment unlike any other co-working space – to create a place that felt like home. Sonja’s diverse media background before starting Unique LA/CAMP/The Unique Space includes being an online content specialist (AT&T, Reebok, HGTV, Harlequin), being featured on television (ABC, CBS, HGTV, Food Network, MuchMusic), and being a writer and editor for a variety of print publications including Azure, Style Ideas, Canadian Living and The Toronto Star. She is an active workshop leader and speaker for a variety of organizations and schools including the Disney Imagineers group, Nearly Impossible Conference, TED-X, GOOD and Scripps College. As a consultant, she works with both big brands and small businesses on creative direction and design, branding, marketing and new media projects and also sits on the Board of 826LA. MEET DISTRICT BLISS! WE HOST THE RADDEST, MOST HIP NETWORKING EVENTS ACROSS THE USA! Owning – or starting – a business is not easy; District Bliss brings together a supportive community to share this journey – and, we provide a welcoming stress-free environment! We work with a select group of Featured and Premier Vendors to curate each Vendor Social – so, each of our networking events is unique. These light-hearted Vendor Socials accommodate an intimate group of people who can grab a cocktail, mingle, meet other like-minded professionals, and have a good time! We love to introduce our guests to small businesses, creatives, and entrepreneurs; provide inspiration, and help you build quality connections! OUR WORKSHOPS + DIY EVENTS ARE DESIGNED WITH YOU IN MIND! We host workshops targeted toward business-building, self-care, life-balance, and more! Our DIY events allow you to break out your creative side and run with it by creating anything from floral crowns to terrariums to quilts! We want to make people happy and provide a stress-free environment! We host events that can accommodate an intimate group of people who can to grab a cocktail, casually mingle with and meet other like-minded people while having a good time. We work with a select group of Featured Vendors and one Premier Vendor to curate and make each Vendor Social unique. We love to introduce our guests to small businesses and creatives – and have tons of fun! Keep an eye out on social media, our blog, and our calendar of events. We’re always expanding, so keep your eyes peeled if we haven’t made it to your area yet! We host tons of Vendors Socials. Schedule permitting, we host a variety of Workshops, too! Because we want our events to be intimate, our ticket sales to all of our events are limited. 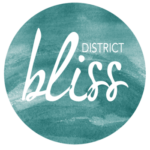 Besides being more awesome, what will you gain by joining the District Bliss community? After each Vendor Social, guests will take home some fun pictures, treats, gifts, quality connections, and lots of inspiration! We think everyone should be celebrated for their hard work, so join us at one of our events and let’s toast to a great time! Sara is a lover of lattes, spontaneity, popcorn & laughing loudly. She’s a go-getter with a background in Art Education and Photography who loves to see others thrive. Sara is dedicated to helping others through positivity, education, and inspiration. After founding a photography business, Sara realized something was missing. Hoping to bring together a community of supportive and like-minded creatives, entrepreneurs, and artists, she launched District Bliss in Washington DC. Since then, District Bliss has spread across the United States. Sara has – and continues to be – amazed at how many wonderful, talented people have joined the District Bliss communities across the USA!